FORT MYERS, Fla. (Feb. 28, 2018) – Shell Point Retirement Community, a resort-style, nonprofit continuing care retirement community in Fort Myers, recently hosted its annual celebration event, which commemorated Shell Point’s 50th year in operation as a leading independent retirement living community. More than 1,200 residents gathered for the annual celebration to honor the nonprofit’s half-century anniversary. During the program, Shell Point president, Martin Schappell, toasted the community’s progress made over the past year and highlighted planned growth and development for the future. Jeff Cory, executive director of The Legacy Foundation at Shell Point had the distinct honor of recognizing the inaugural members of the Legacy Society, as well as numerous key donors whose 2017 contributions positively impacted the Shell Point community and its residents. FORT MYERS, Fla. (Feb. 23, 2018) – Shell Point Retirement Community, a resort-style, nonprofit continuing care retirement community in Fort Myers, hosted a dedication ceremony on Jan. 31 to celebrate the newly transformed outdoor area at Serenity Cove. More than 1,000 Shell Point residents attended the Serenity Cove dedication ceremony to celebrate the transformation of the large, man-made pond area behind the Resident Activity Center on The Island at Shell Point. Guests also enjoyed a charming country-style picnic in the now modern, tranquil and scenic place of reflection. Lunch included fried chicken with all the trimmings, and was served on quaint, red and white tablecloth-clad tables amid the sounds of good old-fashioned bluegrass music. The Serenity Cove beautification project was made possible by a generous gift from a Shell Point resident. The rejuvenation involved reconfiguring an existing island, installing surrounding seawalls and seat walls, and adding a water feature. The area now boasts wider walking bridges, shaded seating areas, enhanced landscaping, fresh turf, and updated irrigation. A new viewing platform and trellis feature were also constructed on the east side of the lake to complete the transformation. FORT MYERS, Fla. (Feb. 21, 2018) – Shell Point Retirement Community, a resort-style, nonprofit continuing care retirement community in Fort Myers, hosted a guided tour of newly renovated residences within The Arbor on Jan. 29. Residents of the assisted living landmark located within The Woodlands neighborhood took in the lovely interiors on the first floor of the newly renovated building. Friends and neighbors mingled as they sampled a variety of delicious savory and sweet items from the dining room buffet. Live steel drum music also drifted through the lobby throughout the elegant afternoon as attendees took in the building’s beautiful new interior design. This is The Arbor’s first rejuvenation. Originally opening in 2005, the assisted living building now sports a soft grey background highlighted with crisp white trim, which serves as a backdrop to cool shades of blue, accented with pops of bright coral and teal. FORT MYERS, Fla. (Feb. 19, 2018) – Shell Point continues its third annual 2018 Medical Breakthroughs and Discoveries Series with a presentation by Dr. Rudolph E. Tanzi of Massachusetts General Hospital and Harvard Medical School, to be held Monday, March 12, at 7 p.m. in The Village Church Auditorium at Shell Point. This educational health care presentation, entitled “Reducing Risk for Alzheimer’s disease by Building a Resilient Brain,” is free and open to the public. To learn more or to register, call 239-433-7936. During this presentation, attendees will learn about the latest advances and breakthroughs in Alzheimer’s disease. The New York Times best-selling author and researcher will also uncover the best methods to building a resilient brain. Tanzi obtained bachelor’s degrees in microbiology and history at the University of Rochester in 1980, and his Ph.D. in neurobiology at Harvard Medical School in 1990. In his research achievements, Tanzi served on the team that was the first to find a disease gene for Huntington’s disease using human genetic markers, helping to launch the field of neurogenetics. FORT MYERS, Fla. (Feb. 15, 2018) – Shell Point continues its third annual 2018 Medical Breakthroughs & Discoveries Series with a presentation by Dr. J. Eric Ahlskog of Mayo Clinic at 10 a.m. on Friday, March 2, in The Village Church Auditorium at Shell Point. This educational health care presentation, entitled “Debunking 10 Myths That May Sabotage Treatment of Parkinson’s Disease,” is free and open to the public. To learn more or to register, call 239-433-7936. During this presentation, Ahlskog will address 10 myths that may sabotage treatment of Parkinson’s disease. His informational lecture will track the progression of the disease, define dyskinesias, examine its effects, uncover the best medications for Parkinson’s and discuss the rationale for symptomatic treatment. Ahlskog is a full-time clinician with more than 30 years of experience, and currently serves as a professor of neurology at the Mayo Medical School. Since 2002, Ahlskog has served as chair for the Mayo Section of Movement Disorders. He has been a member of the American Academy of Neurology since 1987. This presentation is part of Shell Point’s 2018 Medical Breakthroughs & Discoveries Series, an annual community health care speaker program that serves as a resource for residents in the greater Fort Myers area. All Medical Breakthroughs & Discoveries events are free to the public, and will be held in The Village Church Auditorium at Shell Point, 15100 Shell Point Blvd. in Fort Myers. To learn more, visit www.shellpoint.org/legacy.html. FORT MYERS, Fla. (Feb. 13, 2018) – Shell Point Retirement Community closes out its show-stopping 2017-2018 Performing Arts Concert Series program with “My Sinatra,” starring Cary Hoffman. Curtains open at 7:30 p.m. on Tuesday, April 17 at the Village Church at Shell Point, 15100 Shell Point Blvd. in Fort Myers. The event is open to the public, with tickets available for $35 online at www.shellpoint.org/concerts or by phone at 239-454-2067. Hoffman translates his celebrated PBS special into a hilarious biographical one-man musical play. Hoffman’s poignant and high-energy performance centers on the love and admiration he holds for his hero, Frank Sinatra, and explores the perils of wanting to become somebody else. Hoffman will captivate audiences with his personal account of growing up fatherless with three musician uncles, who played on some of Sinatra’s greatest recordings, turning Sinatra into a fantasy father. Throughout the performance, Hoffman weaves in more than 20 classic Sinatra songs, creating a musical score about his lifelong obsession. This final 2017-2018 Performing Arts Series concert is not one to miss. Shell Point Retirement Community, founded in 1968, is a nonprofit continuing care retirement community located in Fort Myers, Florida. Shell Point offers independent retirement living, assisted living, and skilled nursing care for its 2,400 residents in an active, resort-style environment. Lifestyle amenities include deep-water boating access, six public restaurants, a championship 18-hole golf course, and many other recreational and educational activities. Learn more at www.shellpoint.org or 1-800-780-1131. FORT MYERS, Fla. (Feb. 8, 2018) – Shell Point Retirement Community continues the Performing Arts program of its 2017-2018 Concert Series with a concert by dancing sensation, The StepCrew, at 7:30 p.m. on Thursday, March 22 at the Village Church at Shell Point, 15100 Shell Point Blvd. in Fort Myers. The event is open to the public, with tickets available for $35 online at www.shellpoint.org/concerts or by phone at 239-454-2067. The StepCrew will take audiences on a breathtaking journey, bringing together three styles of exhilarating dance forms: Ottawa Valley step dance, tap dance, and Irish step dance. Members of The StepCrew are champions in their respective art forms, and demonstrate the amazing ability to showcase the similarities and differences between these three captivating styles. Virtuosic dancers and musicians from The Chieftains, Cherish the Ladies, and Bowfire round out a cast of outstanding talent. The StepCrew also boasts three world-class fiddlers and are backed by a brilliant five-piece ensemble, comprised of some of the most renowned and respected musicians in the Celtic music industry today. 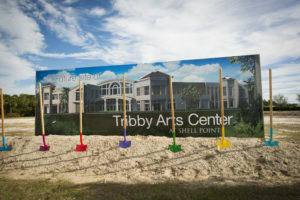 FORT MYERS, Fla. (Feb. 5, 2018) — On Tuesday, January 30, Shell Point Retirement Community held a groundbreaking ceremony to mark the beginning of construction on the Tribby Arts Center, a $15 million amenity to be located near The Club at Shell Point. More than 450 people attended this event, which was held on the future building site. “It is our belief that the Tribby Arts Center will not only enrich residents’ lives today, but also do so for future generations who will call this beautiful place their home,” said Jeff Cory, executive director of the Legacy Foundation at Shell Point. The two-level, 44,000-square-foot center, dedicated to visual and performing arts, as well as educational programming, will provide expanded and first-time spaces for artists to work. The building will include a grand entrance and atrium gallery, full-time art gallery, practice rooms for musicians, numerous studios for painting, crafts, pottery, quilting, textiles, stain glass, and photography, plus, the 350-seat, state-of-the-art theatre-style Connie Brown Hall auditorium. Additional features include a gift shop featuring artists’ works, a French bistro, and an English sculpture garden. The Tribby Arts Center at Shell Point is named in honor of the Shell Point resident who provided the initial gift to launch the fundraising campaign for the future performing arts facility. Currently $13.5 million of the $15 million campaign has been funded. “The Tribby Arts Center at Shell Point is an embodiment of Shell Point’s mission to ensure, through thoughtful building and relevant programming, an exceptional quality of life for the residents we serve,” said Martin Schappell, president of Shell Point. Once completed the Tribby Arts Center at Shell Point will join the long list of amenities that Shell Point residents and their guests enjoy, which include boating, championship golf with an elegantly appointed clubhouse, six restaurants, the Academy of Lifelong Learning, salon and spa, miles of walking and bike trails, fitness centers and much more. 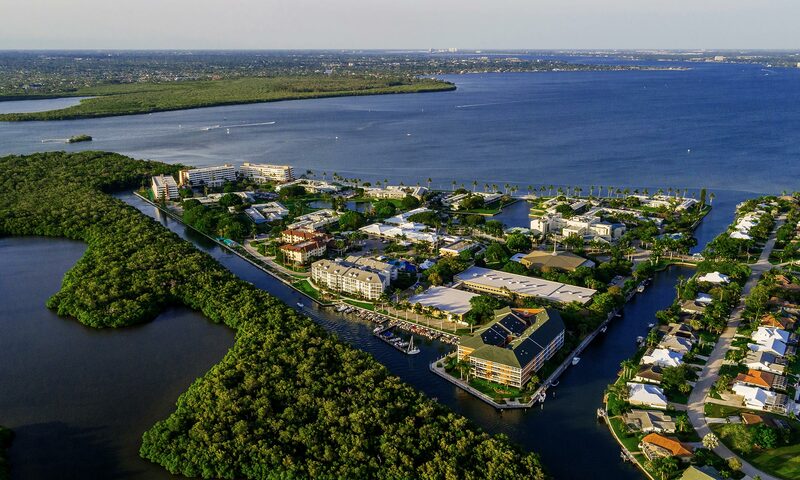 Shell Point Retirement Community, founded in 1968, is a nonprofit continuing care retirement community (CCRC) located along the Caloosahatchee River in Fort Myers, Florida, just two miles before Sanibel Island. Shell Point offers independent retirement living, assisted living, and skilled nursing in an active, resort-style environment for 2,400 residents. To learn more, visit www.shellpoint.org or call 1-800-780-1131.